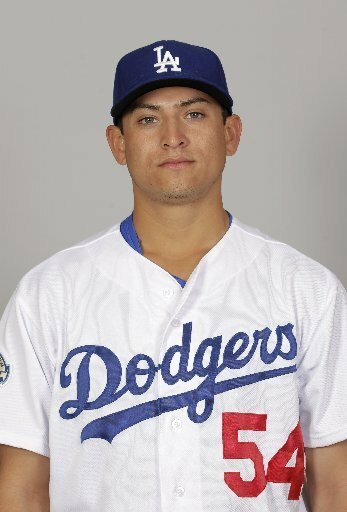 The Los Angeles Dodgers today recalled right-handed pitcher Javy Guerra (#48) from Triple-A Albuquerque and optioned right-hander Josh Wall to Albuquerque. Guerra, 27, has been in a starting role for the Isotopes this season and has gone 0-2 with a 4.02 ERA in four starts, last pitching on Friday and allowing four runs (two earned) in 5.0 innings (85 pitches). Guerra made three scoreless appearances for the Dodgers during Spring Training before being optioned on March 17, allowing just two hits in 2.2 innings. In two Major League seasons (2011-12), Guerra has gone 4-5 with 29 saves in 36 opportunities and a 2.45 ERA in 92 games with the Dodgers. Wall went 0-1 with an 18.00 ERA (14 ER/7.0 IP) in six appearances since his recall on April 15.